In the aftermath of the 2008 global financial crisis regulators and other supervisory authorities have placed a greater emphasis on regulatory oversight and compliance. Thus, treasury management in the banking sector is constantly changing and posing new challenges. Nevertheless, treasury function has become both central and critical to banks in taking a leading role in bank relationship management, short and long-term borrowing and financial risk management. Islamic banks have more challenges in compliance and the legal documentations are different to conventional practices. This seminar focuses on how to stay ahead of the curve in terms of best practices and current and emerging possibilities in the arena of bank treasury. 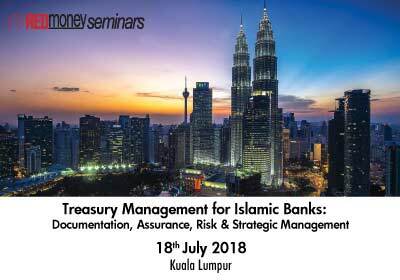 Attendees will gain an understanding of topics encompassing Islamic profit rate swaps, Islamic cross currency swaps, liquidity management and all aspects of strategic treasury management. 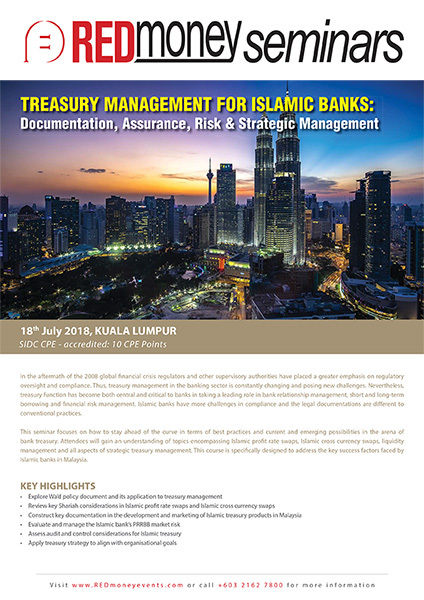 This course is specifically designed to address the key success factors faced by Islamic banks in Malaysia.